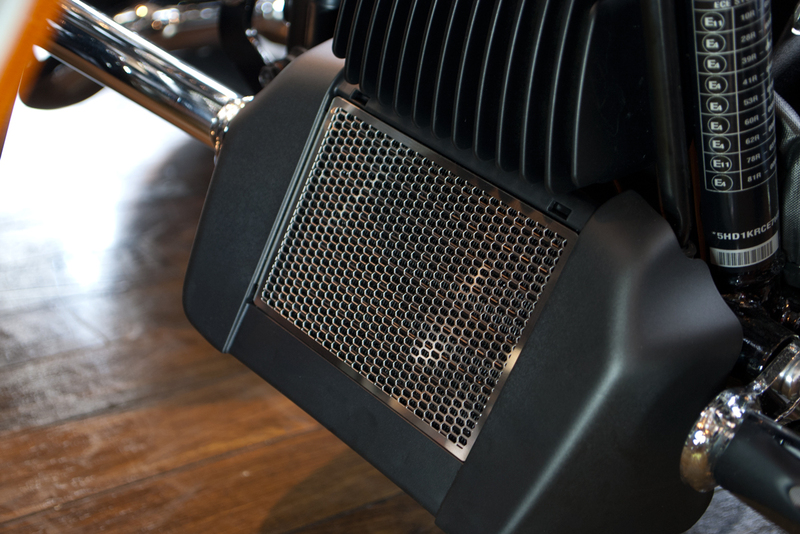 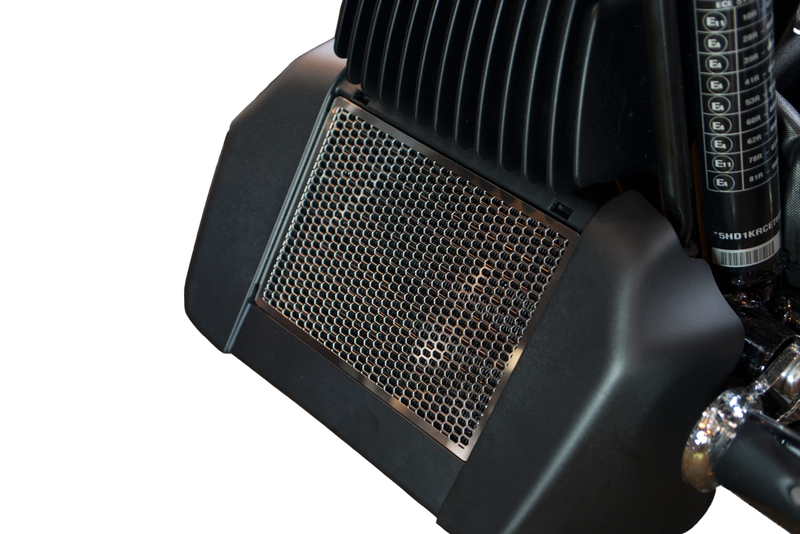 Stainless-made Oil Cooler Guard designed to minimize the affect to the cooling system yet preventing an obstacle passing through. 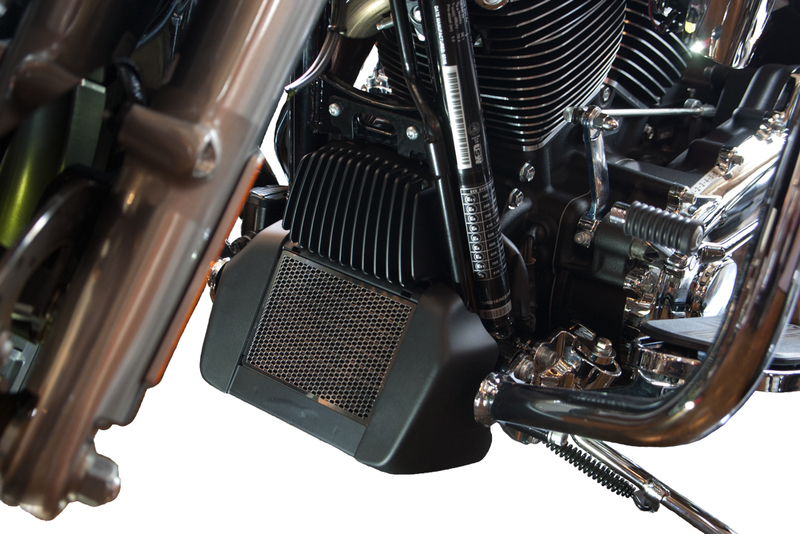 The oil cooler located below the regulator, i.e. 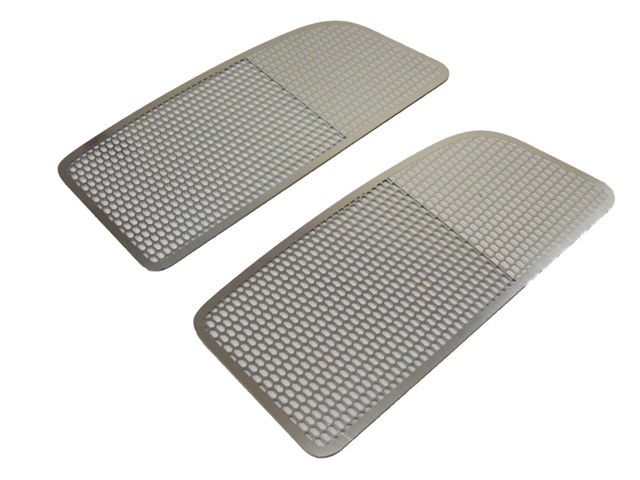 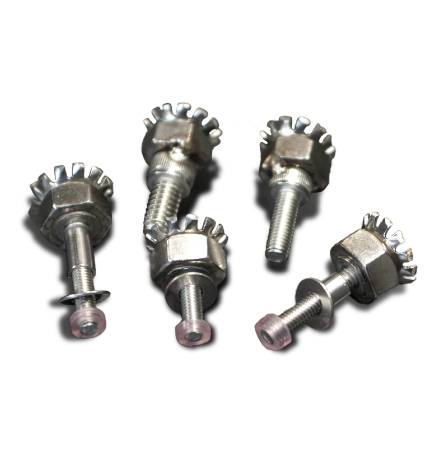 bottom of the body, faces any possible damages to the numerous numbers of cooling fins caused by attacks of small stones carried over from running front wheel or flying insects. 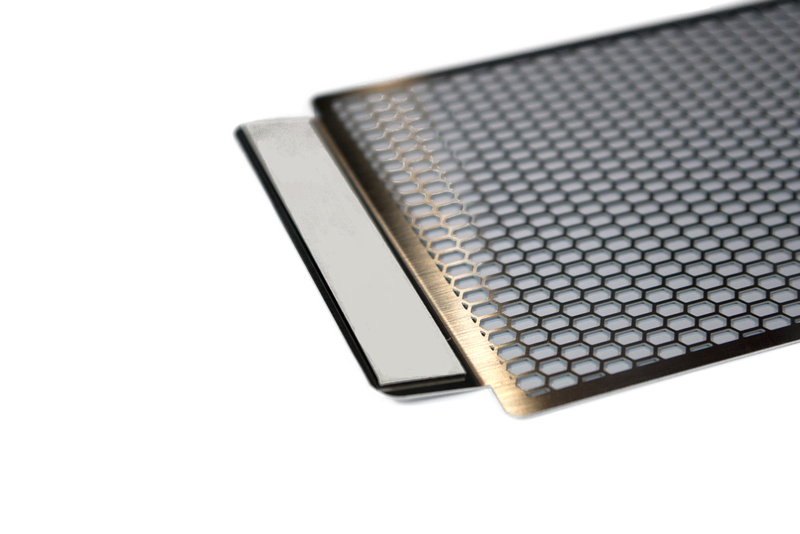 The damage to the core of oilcooler causes not only the reduced cooling effect but also eventual oil leakage thereof. 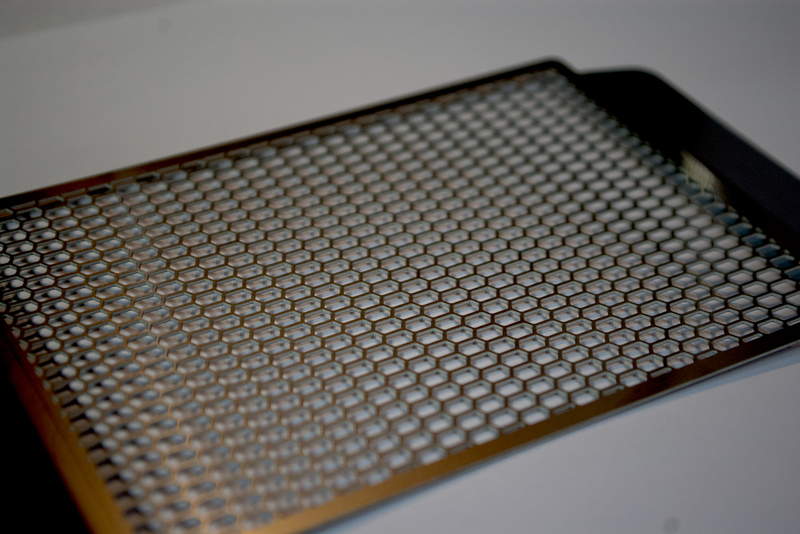 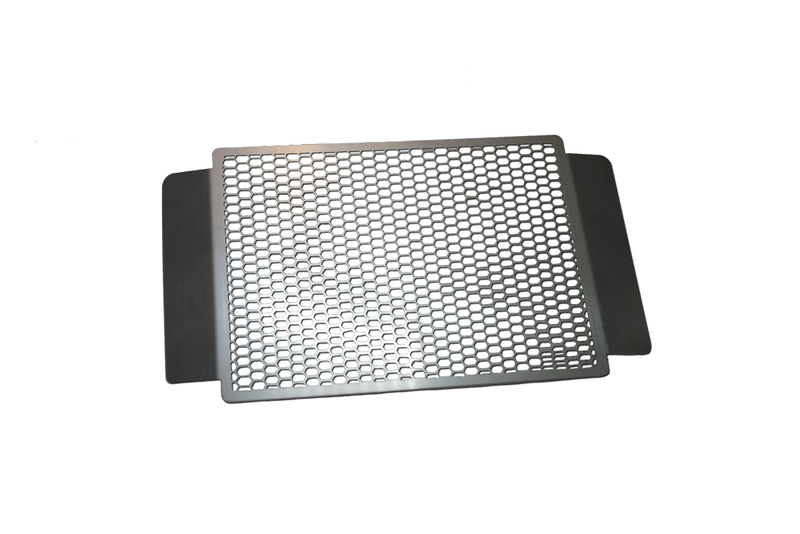 The honeycomb pattern of core guard properly protects the oilcooler.